is the special page to get you off on the right foot! So you’ve had a fantastic Sunday morning bike ride or hike, on a gorgeous nature trail with good friends. What could be better now than to drop in to the local coffee house or roasting company for a fresh baked muffin or bagel and the best cup of steaming joe imaginable – smooth, full bodied, and aromatic? Perhaps the only thing better would be to OWN the local coffee house! *Or how about a dandy little drive thru coffee house? 1.) A fantastic resource to guide you step by step towards your very own start up coffee shop by someone who has been there and done it. If being a coffee house owner sounds like the career of your dreams, the FabJob Guide to Become a Coffee House Owner is for you! In this e-book you will discover how you can get started and succeed in the café business. Guide author Tom Hennessy is a 25 year veteran of the business. He opened his first restaurant when he was 27 and the coffee house he started has been operating successfully for over 12 years. Tom has written for industry publications and spoken at conventions across the country, and focuses on how to set up a successful business without spending a fortune. In researching ways to improve our business practices here at Lakota Coffee Company I discovered this priceless e-book. We have since become our own testimonial by using the information to make dramatic improvements in several areas of our operation. Having this start up coffee shops information at your fingertips puts you light years ahead of the competition and will prevent you from making many costly mistakes. It is so nice to avoid the expensive “trial and error” methodology so common in business start-ups today. Click Here for more information on this amazing start up coffee shops guide. 2.) Access to personal consulting from a very successful coffee house owner. Wouldn’t it be invaluable to have a mentor? You know, someone you could call or email with your most perplexing questions? How about having direct access to someone who has blazed the coffeehouse trail before you? 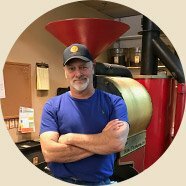 This someone could be Skip DuCharme, owner of Lakota Coffee Company and Roasters. You could also have access to wholesale specialty coffee consulting from yours truly, Lee Eckel. I am the Roastmaster for Lakota Coffee Company and the author of this site. Skip and I have enjoyed many years of experience in the coffee industry. 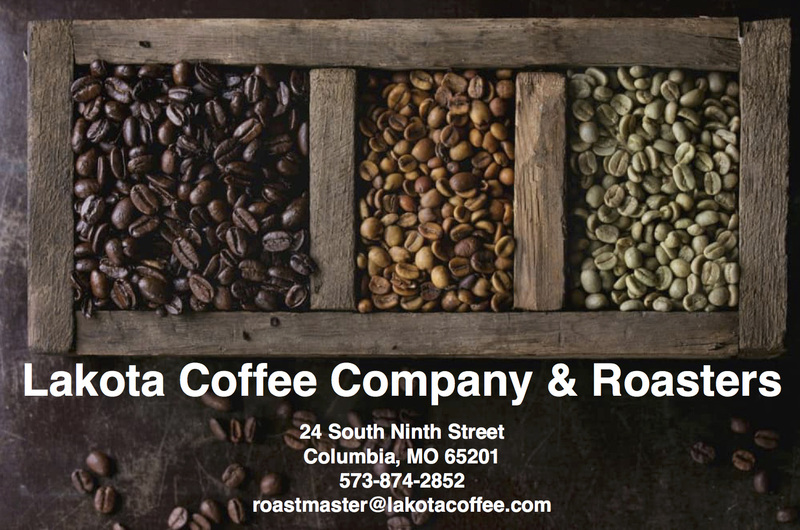 Lakota Coffee Company has been in business for over 12 years so you can count on mentoring from a successful company with a strong track record. *	All sorts of valuable Tips and Techniques! 3.) One of the very best sources available for fresh-roasted wholesale coffee. Heck, if you’re really serious about start up coffee shops, you will probably devour the whole site! I sincerely hope you do so enthusiastically! I also hope you get what you need, even if you never do business with us directly. Your comments on the helpfulness and overall quality of the information contained in this site and specifically our start up coffee shops page would be greatly appreciated. 4.) One of the very best sources available for green coffee. Here at Lakota Coffee Company we have been working successfully with one of the best importers in the business. “We are dedicated to searching the world for absolutely the best coffees available for our customers, in terms of both quality and price. We service the largest specialty roaster to the smallest gourmet roaster/retailers. Our quest for coffee is a love affair, and we hope to share our knowledge about beans, origins, and roasts with you." These folks travel to literally hundreds of estates in dozens of regions. (Someone has to!) They “cup” numerous coffees and choose their favorites. They purchase the best of the best, from the top 2% of strictly Arabica coffees in the world and then pass this goodness on to Roasting Companies that concern themselves with the utmost in quality. If roasting your own coffee for your coffee house is your dream, then we can offer invaluable assistance. *	You tell us! Is there anything else you can think of that we could add to our start up coffee shops page that might help you to be more successful…? Wholesale Coffee and Consultation for Start-Up-Coffee-Shops. The Very Best Mountain Grown Wholesale Coffees from Around the World, Fresh Roasted Daily and Delivered Right to Your Store! Thanks for visiting our Start Up Coffee Shops page!